Good Morning! I hope you had a stellar holiday. Well, engagement season is upon us, and yes it is a season. So if you are a photographer reading this...get ready. If you are someone who is proposing... congratulations! And if you are expecting a proposal, remember that it is who you are marrying, and not how big the ring is...how extravagant the proposal is, or anything else. It is more about being married than getting married. 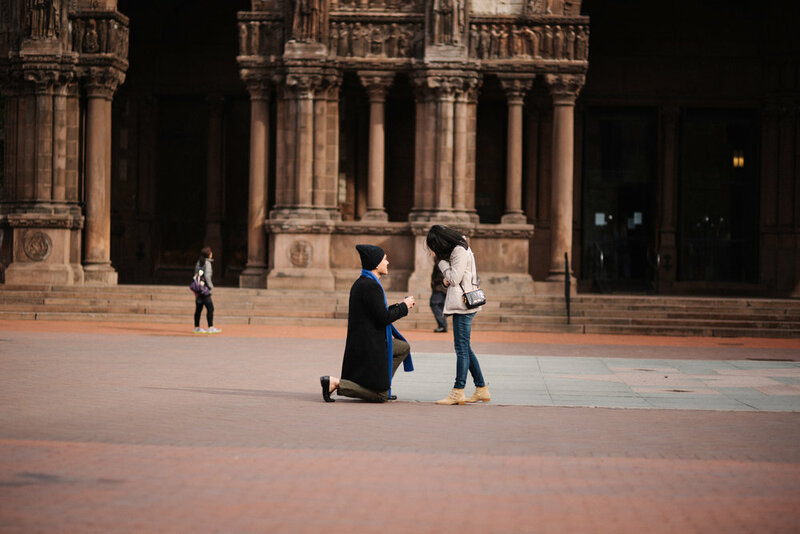 That said, having a proposal photographed can be super rad. You have the memories and the reaction captured forever. You have an epic photo to share with your friends and family as well. But it does take come coordinating. No matter where you are going to be proposing, the time, the plan, and the location are key. Each proposal that I have shot has been different; each one has had its challenges. So here are a few stories of each and the photos and video behind them. 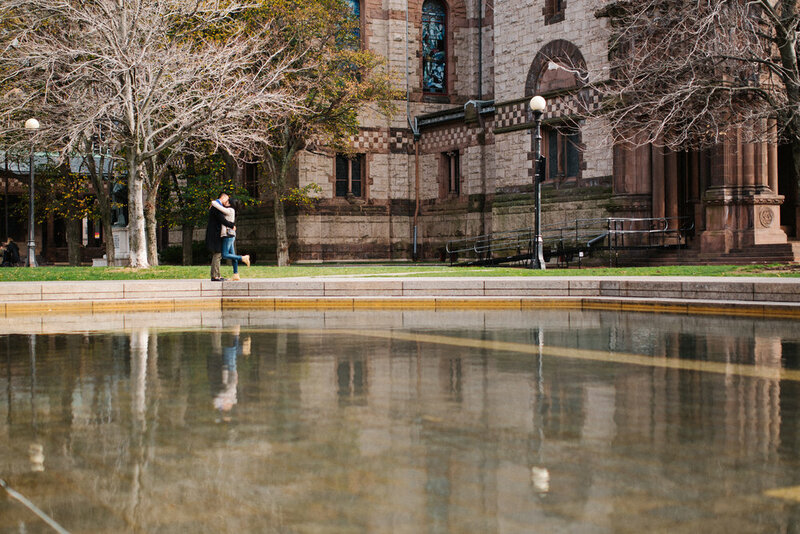 These two got engaged in November of 2015 at Trinity Church courtyard in Boston. All of the proposals that I have shot, I have not met the couples before hand, so I had to be sure where they would walk and what they would wear. Normally the best way is to have the person proposing to send me a selfie or a photo of their partner So I can look for that outfit. For this church courtyard, there are a lot of people taking photos. So the location is key. For this location he told me the direction/street they would come from, and the spot which he was going to propose on. Earlier that day he had sent me a photo of her so I knew what coat to look for. After the proposal we did a short couples session so they would have photos for their engagement announcement. This proposal was interesting. The day of the proposal it was pouring rain. For this proposal, the groom's brother did the organizing. He found me because we used to live in the same town. He wanted to surprise his brother, so he did not tell him until the morning of the proposal. 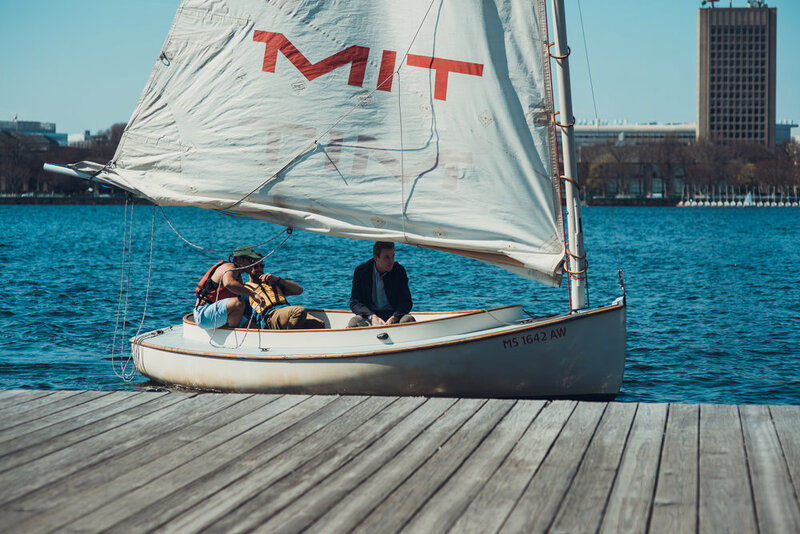 The plan was that they would meet the family at The Institute of Contemporary Art in Boston right before they went to dinner. While they were all there taking in the view, he would take her down by the water and pop the question. It all went as planned except they were a few minutes late and I was standing out in the rain with my cameras trying not to get them ruined. This one has a little video that goes with it. This proposal was super fun. Mike arrived by boat to the dock that Tori was hanging out with a friend at. The best friend and Mike had planned this and worked it so that he had a work "emergency" that took him away for the day. The planning of this one was nice as I blended in with the crow at the dock. There wasn't any way to miss a guy arriving by boat. Watch the Video for this one here. 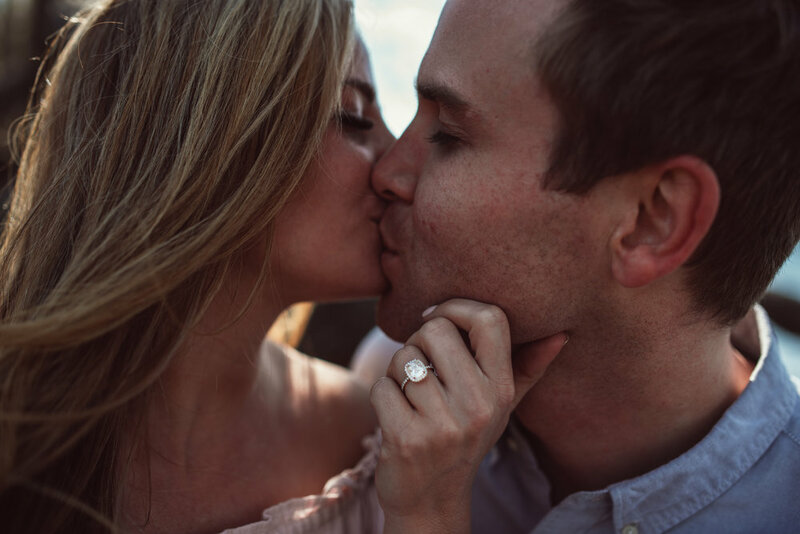 While I have shot several others proposals, these are my favorites. Each one was different. For one proposal we were supposed to be near a statue. The photo that was sent and the location were different, but it was not until arriving that this was figured out. Luckily I realized that it was the wrong statue and made it to the other one before they arrived. HERE ARE A FEW TIPS TO HELP WITH THE SUCCESS OF THE SHOOT. Know and confirm the location. Know what outfits they will be wearing. Arrive early enough to make any changes. i.e., Ask people to move, adjust your location. Know your gear. You might be shooting at night, or in the rain. Know what your gear can do. Bring a backup person. You might look more natural shooting someone in a location. But they can also have a camera as back up if needed. Make sure that the person proposing does so in the right position. The best is to have them angled so that you can see their hands and the other persons face. You need to get the reaction shot. So make sure that when you iron out the details, you let them know where you will be located. Have fun! Make sure that you have fun with this, try and think through anything that can go wrong and brainstorm with the person proposing. Newer PostAre you really re-branding? 6 steps to help.